One's a prolific Hip Hop MC/Lyricist the other's a charismatic front man for an Indie Garage band Marionexxes. This odd mash up is comely known as NegaRakuS. Street poets consist of MSK (Mekarnya Satu Kematian) a.k.a Apocalypse Dawn and Piko where their sole mission is to overthrow the misled masses by the forgotten art form, Spoken words. Formed in April 2007, these Partners in Rhyme met in early 2006 at Troubaganger, a locally organized open mic night by Troubadours and Doppelganger Collective. That is where MSK showcased his wordplay and lyrical prowess. The dwindling state of Soulful and REAL Hip Hop shows in the city forced MSK to look for a venue to perform his work, and his materials were stripped to its core element which came down to an MC and the mic, no beats just words. That night he recited "Seasons of The Enders", "Our love" and "Right Where I Stand" which received overwhelming crowd approval. His style of Battle Rap delivery laced with profound and dark verses depicts the strife of urbanites in these dark ages ("Sekembali", "Kinesis Animated"), damning counterfeit doctrines and of all things decayed by false media mass fabrication, how human now has their own carbon copy, and they are all staged in a fiction conceded by lies ("Intepretasi malam ini, kerana besok kita mati", "Manusia dan Makna", "Discordance"). Each of his rhymes are war cries to the people to Live and to Believe not only just to Exist. MSK is a rebel philosopher where he stood as the last bastion of mere mortal existence. Just what life needs right now: SOUL and SUBSTANCE. Several Shows followed. MSK came front and center not as an MC but as a Poet. He Performed at Fiesta Malam Muzikal Universiti Malaya before an all Rock crowd, backed by a guitar and Djembe, Artport Art shows in Shah Alam, and Converse Buskers at Sunway Pyramid proving that he flows well no matter when he is conversing rhymes in his native tongue (Bahasa Melayu) or English. Piko's reciting days goes way back to his primary school years. One who possesses the knack for flipping any script and reconstructing it word by word for a whole new meaning in the same verse, redefining terminology in a whole new perspective which force audiences to view the world the only way he knew best. His way. His first ever recital is at Istana Budaya Kuala Lumpur in 2000, saw him recited "KFC"(Kentucky ------' Chick), and "Diktator Kukuku Dibesi". These 2 poems etched a mark in the underground poetry scene and the performance poetry public, for this newcomer was about to stir the scene by his unorthodox style of recital and his secular leanings vocab. This was an early sign for the imminent damage ahead. Delivering his rhymes at its rawest and at his most stark, preferring "Street" Bahasa Melayu to DBP standards BM, Piko has left many literature enthusiasts cringed by his explicit content and witty Political undertones, challenging "purists" to pry their mind to a new approach in performance poetry. ("Squirting to the Rainbow"). Arguably one of his best work "Meliur Basi di Pondok Usang" a parodical yet venomous diss piece won the Grand Prize for Universiti Malaya's intercollege poetry writing contest. Numerous shows ensued for Piko, he's a frequent guest poet in any readings held in Universiti Malaya, Doppelganger Open Mic nights every month, notthatbalai Art Festival 2007, RANtai Art event 2006, Converse Buskers at Sunway Pyramid and he also presented his masterpieces before the Legendary Dato' A. Samad Said, honoring The Legend's contributions to Malay Literature scene on his 72nd birthday held at Pelita Hati's House of Art. 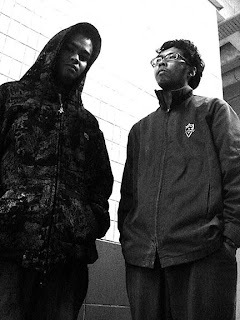 Year 2007 saw these 2 fiends on the mic united as a formidable force in the underground poetry scene. And when the mass proclaimed the rest is history, they too told it as it is, the rest is history...IN THE MAKING. NegaRakuS stands firm against the grain, against the system, against the world, against all odds to forge a new truth. They embrace the dark side of love and life in their path of attainment and atonement, framing their journey by seizing the moment of everyday revolution and presenting at its most honest, embodying it soulfully with a cynical tease just to appease all rustic minds in the dying state of this superficial era.